Beautiful Casa Loma Community! This 1 bedroom / 1 Bath Condo Boasts a Bright Open Floor Plan! Upgraded Kitchen Granite Counters and Fresh Paint throughout. Unit includes A/C and Dining Room Fan! Brand New Bathroom Vanity for convenience and Extra Large Master Bedroom with Large Mirrored Closet for Storage. Wonderful Flooring throughout. This Condo is located on the Second Floor, Corner Unit. Its incredibly quiet location will make anyone feel at home. 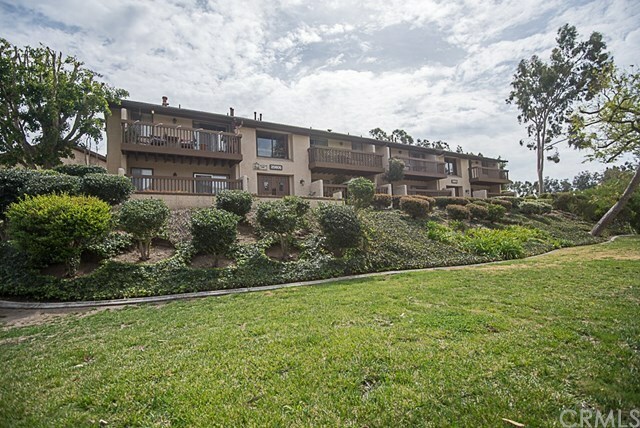 Enjoy Two Large Balcony's with Gorgeous Views of Greenbelts, Trees and the Wonderful Creek! Quick walk to the Pool and Lounge Areas. 1 Carport Parking Space and convenient Visitor Parking. HOA includes, Water and Trash and allows you Membership to the Mission Viejo Master Association, which gives you access to the Lake and Parks. Close to Freeway, Shopping, Saddleback College and Oso Creek Hiking Trail! Come see this very affordable Home Today!